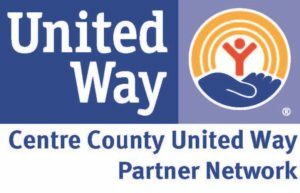 CCHLT is thrilled to announce that we have been accepted as the newest Centre County United Way Partner Agency! Following our formal application submittal and site visit presentation, the CCUW Board of Directors approved CCHLT as the 35th partner agency. The Centre County United Way serves our community in an effort to improve lives by prioritizing needs and mobilizing human and financial resources to positively impact the education, financial stability, and physical and emotional health of our neighbors. As a part of the Partner Network, CCHLT represents a non-profit promoting financial stability for our homebuyers. Consequently, CCUW is financially supporting the development and expansion of our new Legacy Program. This new program provides another avenue for us to steward affordable housing that has been developed for low- to moderate-income people in Centre County municipalities. Most of all, we look forward to collaborating with the 34 other partner agencies of the United Way. The other partner agencies all focus on education, financial stability, or health of our community. Furthermore, we already directly work with a number of CCUW Partner Agencies like MidPenn Legal Services and State College Community Land Trust. Join with us to become a part of CCUW. Live United. You can volunteer, you can advocate, and you can invest in our community by giving to Centre County United Way. However you give, you can inspire hope and create opportunities for a better tomorrow.